Call us geeks if you like, but we like presentations. We flip through presentations on SlideShare, even when they’re about things we don’t understand. We read books on public speaking, just for fun. We seek out quotes on presenting daily, in the off chance that one will be relevant and inspiring to one of our clients. Preparation is always the difference. Here’s to no regrets, and doing what you set out to do! One of the biggest obstacles to delivering a great presentation is too much humility, or small thinking. It doesn’t matter what you’re speaking about: if you or someone else has asked for the opportunity to discuss the topic, it matters enough to be treated as an idea of profound importance. Passion always shines through. We think he meant that brevity counts, and that the more what you say reflects common or ancient principles, the more easily you can persuade your audience. We thought about this, and think it’s true. Great presentations are a labor of love. Public speaking is an art, and like all arts, we seek extraordinary experiences when we see it. Presenting is a craft as old as time, and great men and women have long observed some of the irrefutable laws of public persuasion. The next time you’re putting a deck together, take a moment to read some words of wisdom. These principles have stood the test of time, and they apply even to today’s modern business environment. Scott Schwertly is the CEO and founder of Ethos 3, a leading presentation design and training company. From big names like Guy Kawasaki to big companies like Google, Pepsico, and NBC Universal, Ethos 3 has been responsible for bringing the message home. For more information, visit www.ethos3.com. It’s pretty likely that C.S. Lewis brought you a little bit of happiness when you were a child. As author of the Chronicles of Naria series, C.S. Lewis created one of the most beloved children series of all time. As a result, he got loads of fan mail from his biggest fans: children. And being the nice purveyor of childhood glee that he was, he managed to respond to many of the letters, including one from Joan Lancaster, in which he included several tips on writing. Let’s see what we can learn about presentations from his poignant advice. This is great advice for the presenter as our job is disseminate information as clearly and simply as possible. In order to do so, use language that tells the audience what they need to know in the simplest way possible. Say what you want to say as simply as possible. Don’t overcomplicate your language for no reason. 2. Always prefer the plain direct word to the long, vague one. Don’t “implement” promises, but “keep” them. This goes hand in hand with Lewis’s previous nugget of advice. Use plain, direct language in your presentation. You won’t sound smarter by using a ten-dollar word when a five-dollar word will do. Rather, you might come across as pretentious. Don’t alienate your audience with obscure language. Be as direct as possible. Mr. Lewis is adamant about the importance of clear, direct language, isn’t he? Minimize abstraction as much as possible with the language you use. Be as clear and concrete as possible. 4. Don’t use adjectives which merely tell us how you want us to feel about the thing you are describing. Instead of telling us a thing was “terrible,” describe it so that we’ll be terrified. This may be the best bit of Lewis’s advice, as it’s basically a snarky version of ‘show, don’t tell.’ Engage your audience by using vivid language that describes a situation instead of simply telling the audience how it made you feel using a range of blasé adjectives. Remember presentation skill coach Jerry Weissman’s advice: Don’t make the audience think. Describe situations so clearly and in such a compelling nature that the audience won’t have any question as to what happened or how it made you feel. Lewis’s last piece of advice again addresses the need to use clear, precise language. Don’t exaggerate in your description of something as that would be an easy way to mislead your audience. Above all, if we are to follow Lewis’s advice in our presentations, use language that is as direct and to-the-point as possible. Your presentation will be much more accessible and well-received if you eliminate abstract, unclear language altogether. What’s the difference? The difference is in how one asserts their information. It seems to me that an expert asserts his expertise fully, readily and frequently to all who will listen. A master is someone who reveals what he knows as needed in the moment. A master says the one right thing that a listener needs to know because the master can perceive what the listener needs for his next step. The master is tuned in to the listener. Everyone will know who the expert is, because the expert will make sure everyone knows. But many people will not know who the master is, because the master will hold back anything that the listener is not ready to hear. The expert will draw lots of attention, the master will likely not. Once you have become an expert at something, there is a natural evolution into mastery. Mastery happens when you stop asserting your expertise as something to get attention and begin to offer your skills in service to humanity. You essentially transcend your skills and become a humble servant, giving your expertise to help others gain the same level of ability. Once an expert stops trying to impress, he steps into the level of mastery. Making complex things simple is the realm of the presentations master. He simply is the master and what he does is simple. My own mastery is guiding people to express themselves authentically in front of groups. My approach is simple. I help people relax into being who they are in front of other people and give them simple steps for putting ideas together to craft compelling messages. My students say they have trouble telling their friends and family what we do in class, because it is so simple. I simply make it safe for people to be authentic. When people feel free to be who they are, they are naturally eloquent and what they say inspires listeners. The presentation of presentations has evolved radically and rapidly. Ten years ago, overhead transparencies and 35mm slides were the trendy tools. More recently, projectors and computer-based presentations have taken center-stage. But the most exciting presentation products are on the horizon, as increased bandwidth, more powerful and compact technologies, and a more technically-savvy consumer merge to pave a path for clearer communications. Thanks to faster graphics cards, more powerful processors, and greater bandwidth capable of displaying a PowerPoint presentation plus a live video of a speaker and high quality audio, webinars are taking center stage. Indeed, several larger companies have pulled the plug on their face-to-face regional meetings. One marketing executive at ADT/Tyco in Boca Raton speculates the security giant saved $1 million by conducting a recent regional meeting online. But delivering an effective webcast is a whole lot more than just a few bullet points and a pleasant template. Presenters are going to great lengths these days to create web-based presentations that captivate and inspire. More compelling graphics, dynamic animation, and concise text points are all focused on keeping an audience engaged. Future webcasts will likely bridge the gap between reality and virtual reality, as the size and resolution of display monitors increase, providing for greater involvement and virtual integration of audiences. High definition video, 3D rendering, and a more robust and integrated Web 2.0 will eventually provide for a more dimensional and involved presentation experience…delivering more results and greater success to presenters and their audiences. 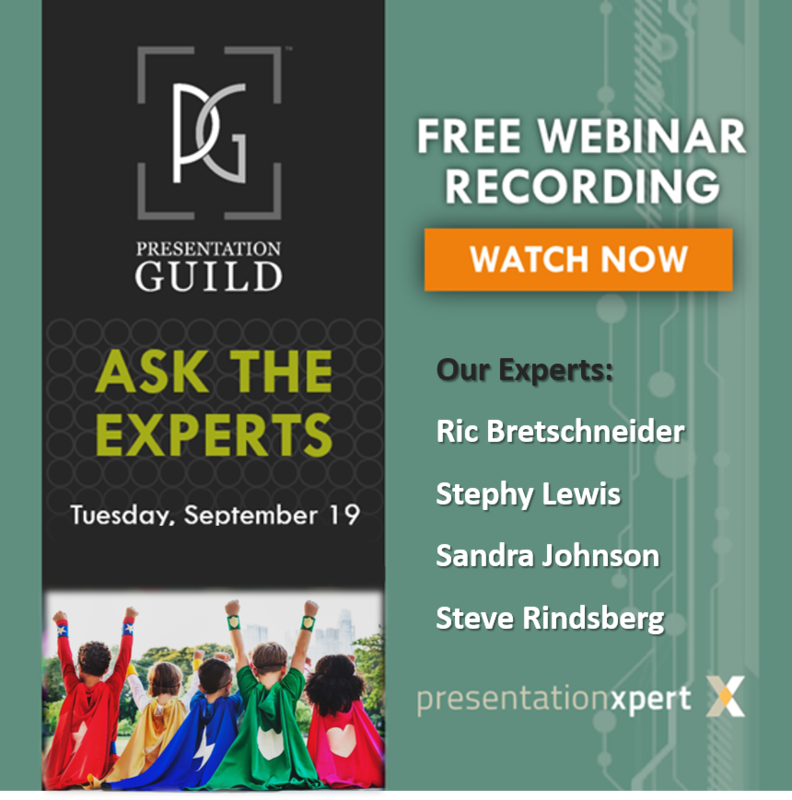 Despite the popularity and appeal of webcasts and webinars, many managers and professionals still view the web-based presentation as a novelty. They say there’s simply no substitute for a presentation delivered face-to-face to a live and engaged audience. Many experienced business professionals say that webcast audiences simply don’t take webcasts as seriously as a live meeting. Participants are multitasking maniacs, dividing their attention between texting, chatting, and other work. And, unlike a live meeting, a webcast is a two-dimensional experience. Presenters complain of a lack the feedback from their audience. A digital happy face or frown is no substitute for the complexity of human emotion that can be conveyed face-to-face. Jay Forte, a business consultant and speaker believes the meeting industry will rebound from this downturn with a sharpened and renewed focus on the value of a live presentation. “The industry is committed to results. Regardless of efficiencies developed through technology, face-to-face interactive presentations continue to be the most effective way to influence behavior change, share an important message and activate performance. Live meetings continue to offer the greatest return on presentation investment because they are more personal, interactive and customized; they more consistently connect with and engage an audience,” explains Forte. Experts say that face-to-face networking is also sacrificed in webcasts. Participants at live conferences have the opportunity to meet others with common interests and similar backgrounds…for mentoring, strategies, commerce, or simply friendship. Management is recognizing the value of webcasts, but also the inherent limitations. Despite the technological triumphs of webcasts, most experts agree that the live meeting will experience a renaissance and resurgence. We have seen the future, and it is here: a recent study confirmed that all new computers for sale on the market today- Mac or PC – are able to display at the high-definition widescreen format of 1920×1200. The human eye layout (left and right) comfortably and easily adapts to this increasingly popular 16:9 aspect ratio. But the typical PowerPoint presentation has not caught up to ubiquity of this format…seen on nearly all new monitors and plasma televisions sold today. As the older 4:3 diminishes, and people reduce their use of paper-based presentations (8.5″ x 11″), the 16:9 widescreen will quickly and formidably transform the presentation industry. Convention planners are already designing meeting sets in wide-screen format. Conference rooms are being designed with large widescreen monitors on the walls. The increased popularity of 16:9 screen plasma monitors are forcing presenters and speakers to either suffer and watch their 4:3 formatted presentation distorted and stretched to fit, or placed in the center of the screen, sacrificing up to 20% of valuable screen real-estate to empty black borders. With a few quick edits in PowerPoint or Keynote – or by starting these presentations off in the widescreen format- presenters are giving their presentations wide appeal. More and more people are using their Blackberries, iPhones, and Smartphones as presentation tools. Videos and PowerPoint presentations reformatted for the small screen are empowering presenters to share their message wherever and whenever. The convenience of a brief presentation, formatted for the iPhone that helps support your message can be very powerful to make your message more memorable when you need to inform, inspire or motivate. Whether the presentation is stored locally, or streamed from a website, the smartphone is another new weapon for making a mark in the presentation industry. The iPad: The Perfect Presentation Product? Apple’s iPad has transformed the way the world presents…overnight. Some sales managers are buying them en-masse, to distribute to their armies of sales professionals. Just hours after Apple announced their new “magical and revolutionary” iPad, presentation and training industry experts were proclaiming that this simple yet sophisticated product would change the presentation market. On the surface, delivering your message from an iPad sends a message of technological savvy and sophistication…affluence and hipness. Apple’s Keynote software already has a perceived edge over PowerPoint for effects, power, and elegant simplicity. The iPad allows these Keynote (and PowerPoint) presentations to be shown easily and simply. A well-designed presentation with text, graphics, video, audio, and interactivity – delivered by a qualified professional on a new iPad – is sure to win new clients and close more sales. Increasingly, people are leveraging the connectivity of the internet to share files, connect, and move beyond the limitations of their laptops. 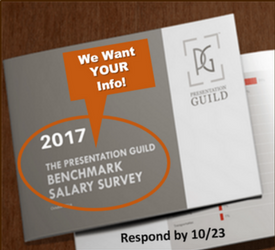 More presentations are being uploaded online to private file sharing sites, or shared on systems like SlideShare or YouTube. Open Source presentation software that’s compatible with PowerPoint is making its mark, as Google Docs’ Presentations becomes increasingly popular and easy to use. Another product with big financial backing is SlideRocket, a web-based presentation design tool that touts its simplicity and power. The delivery and design of presentations using cloudware (online) is gaining in popularity. Users are becoming more comfortable with the ease of access, file sharing, distribution, and growing number of features and functions that “cloudware presentations” provide. It remains to be seen whether presentations in the future will be created using server-based technology – most corporations still want to keep their software local – but future presentations will increasingly be presented in the clouds. From our earliest days as infants, we have been captivated by movement. Our eyes fixate on items in motion. As business presenters search for secrets to capture their audience’s attention and make a greater impact, the need for amped-up animated slides is increasing. Be on the lookout for video background templates, the next big wave to hit PowerPoint in the coming months. Rumor has it that the new version of PowerPoint 2010 will support (and include) motion backgrounds. Presentation visuals will likely adapt motion and imagery similar to a newscast’s images. Elegant but animated flying titles will become the in-thing as presenters strive to maintain their audiences’ attention. Thanks to increases in technology, bandwidth, and software proficiency, presenters will have more tools at their fingertips to create presentations that help communicate the message through 3D rendered animated examples. Videos will easily bring the outside world to the inside audience. And simple screen transitions and text animations will provide subtle eye candy to make presentations more fun and engaging. If you’re a graphic illustrator, chances are you’re having a tough time keeping busy. Most professional presentations these days with graphics are using photographs and 3D imagery rather than vector-based clip-art. This illustrative format (.WMF, .EPS, .AI) was the in-thing just a few years ago. The file size was small, the elements were editable, and the style was cute and comfortable. Collections of clip-art flooded the market. First 10,000. Then 50,000. Then 500,000-piece collections. But in recent years, people have rebelled against clip art, looking to the more sleek and stylish stock photo for added flair and impact. Websites like iStockPhoto.com and photos2go.com have helped raise the bar for trendy presentation design, delivering contemporary photographic images that inspire and delight. Still, illustrative art is far from dead, as avatars and comic-book-style action characters make a resurgence. A recent presentation for Cox Communications that I helped develop included a 3D cartoon character – “Digi” – whose role was to help commuicate key messages home to the audience. Dynamic photos and clipped images have ushered in a wave of modernism and “reality” to presentations, helping to create a look and feel that audience members can connect with. Presentation designers are reaching deeper into their stock photo libraries to find appropriate images, or creating images in Photoshop. Bigger presentations are going a step further to create a “reality-TV” look by making their team the stars of the presentation with team photos and imagery direct from the field. With the increased popularity of digital cameras and smartphones, anyone can take a photo and integrate it into a presentation to help drive the message home. When I first started creating presentations in the early 1990s, I read articles and saw examples of slides with light white text dark set against blue gradient backgrounds. Scientific studies emphasized that the human mind can comprehend information easier if its set against dark background. Moreover, the projection technology of the time (35mm slides and first-generation 3-color video projectors) showcased the sleek appeal and striking contrast of a presentation with a dark background. But in recent years, the trend has turned and presenters are getting a bright idea, by using a lighter background with darker text. Presenters and designers say the lighter look is fresher, relaxed, and newer, sending a subconscious message of openness, ease, and flow. Additionally, a light textured background also works easier when a presentation needs to be printed, as no colors need to be converted; the background can be just turned off. The bottom line: projection technology has advanced considerably. When designing a presentation, feel the mood and explore the impact that the audience or event is meant to be conveying. We’ve all seen our share of horrible slides crammed with bullet points. Speakers dumping their entire speech onto a few pages…and then reading it to their audience. In more recent times, companies like Apple have been pushing the beautiful brilliance of simplicity in presentation design. And it’s working. An increasing number of presentations are indeed appearing shorter and succinct. Small headlines. Brief bullets. Graphics that tell the story. Perhaps it’s tools like Twitter that’s awakening people to the power of a short focused headline. Perhaps it’s the realization that more slides doesn’t always mean more time or money and it’s okay to split points across multiple pages. Perhaps it’s simply the web working to share the gospel of a good presentation design. Robert Swanwick runs Speaker Interactive, an online media product for speakers bureaus to supplement their in-person speaker offerings. He says he’s pleased that people are biting the bullet, but is most excited about the multi-dimensional approach of the next generation of presentation tools. “The upcoming set of presentation tools that are gaining traction now create a large canvas where you can build zoom points. This is quite a distance from today’s PPT which is basically a set of disconnected rectangles,” explains Swanwick. He says that tag clouds – a weighted list in visual design – are making their way into presentations as a more accepted and non-linear navigation and communication. Compact, lightweight and super mobile, an increasing number of pocket-sized microprojectors are shining a bright light of opportunity for people wanting to present or share digital content on-the-move. These micro projectors are LED-driven devices that offers full VGA resolution connectivity to a range of multimedia devices. The higher end models contain SD card readers, to display presentations or images on the go. AC or battery-powered, these micro projectors are fast and easy ways to get your presentation projected in a compact area. They’re priced from $150. Prices and size continue to drop for DLP and LCD projectors, as their functionality and brightness continues to climb. HD projectors are increasingly visible, delivering theater-like quality in a shoebox size powerhouse. Brighter and sharper output are making the future of presentations powerful and potent. Exciting tools are on the horizon. But regardless of the medium and technology, the key to a successful presentation is still the presenter. And sometimes less is more. Too many people structure their presentations by pulling together slides and then assembling them like a deck of cards, in what seems like an OK order. That usually means that no one except the presenter can divine where the speech is headed. At the heart of a successful presentation is a clear structure. Which one should you use? The best structure for what you’re trying to do depends on the nature of your talk. Following are five possible situations in the organizational world for which you might be called upon to present; pick the one that best suits your actual situation. Wedged in the Appalachian Mountains in the eastern half of Tennessee is the two-century-old town of Jonesborough. As small towns go, this one is relatively rich in history but its greatest claim to fame isn’t its strategic significance in the Civil War or a famous resident. Jonesborough has distinguished itself as the epicenter of a worldwide revival in storytelling and the National Storytelling Center. We’d like to believe that the art of delivering a good presentation is unique. After all, we use this software called PowerPoint to capture our thoughts, laptops and electronic projectors blast colorful images on the wall and, oh yeah, all audiences are different too – or are they? Before you abandon the idea of storytelling for a more traditional approach to presentation delivery, let me challenge your ideas about the presentation process. If I win, you’ll change for the better. If I lose, you get to keep doing things the way you always have. Imagine for a moment that we took the story away from the storyteller. All the very best delivery skills and beautifully illustrated pages could not sweep the audience along for even a minute. In the same way, presentations desperately need a strong underlying story that is appropriate for the audience. It needs to connect with issues, characters and personal interest that represent common ground with the audience. For lack of a compelling story, many presentations have died a slow and agonizing death. In the opening moments of a presentation, an audience will make a quick determination if the presentation they are about to sit through is about them, the presenter or their prowess with the software and technology. We use the opening moments of a presentation to create clear relevance to an audience, often times through a well-rehearsed opening personal story or challenge statement that engages not only their minds, but hearts as well. Practice this critical time until it flows like water. A good start will also help you through the initial moments of nervousness as you get your bearings with the room and your audience. All the topics of a presentation should paint a clear path towards the promises made in your opening comments regarding how this presentation relates to them. When there is little connectivity between subtopics, we run the risk of losing momentum in a presentation or even worse, our audience’s interest. When rehearsing your presentation, work on how you transition between presentation subtopics so a thread of the storyline is carried through to the next area. Subtopics of a presentation break up a long and lengthy single topic delivery like chapters in a book break up the storyline into more palatable packages of thought. Far too often presentations appear to end not because there is a clear conclusion, but rather it seems the presenter ran out of slides, time, or both. A storyteller works hard so his or her audiences understand the moral of the story. If the whole point of the story is not clearly understood, a good storyteller would be hard pressed to consider the day a success. Yet many presenters fly through the end of their presentations with little regard for a crisp, well-rehearsed conclusion. 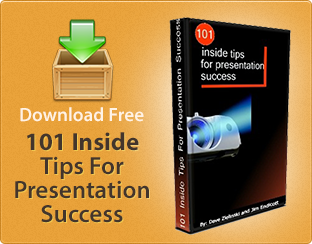 Spend 30% of your practice time simply working on the opening and closing 5- to- 8 minutes of your presentation. Pull all the pieces together so the audience understands the main points behind your presentation. If your time is cut short, never compromise the time for your closing comments. Abbreviate the depth of description in the middle of the presentation if necessary, but never the conclusion. The pictures in a book are not the story, only a graphical set of supporting images that add greater depth to the spoken word. The pictures create emotion and connection (right-brain imagery) between the audience and storyline. Show them the same old pictures in every story and they will quickly lose their impact. In the same way, using the same stock PowerPoint template and clipart is a fast track to mediocrity. Imagine if the storyteller simply held up the book and expected the audience to squint and read the pages for themselves. Text-intensive presentations seem to ask the very same thing from their audiences. Just like a children’s book has unique design considerations for the medium, presentation graphics also require unique considerations that center around saying less with more graphically-oriented supporting images. The illustrated story can never upstage the storyteller. One thing’s for sure, a storyteller uses his or her entire body to communicate a story. Their passion is reflected in how their eyes connect with the audience and “invite” them to participate. Eye contact with a senior staff or potential partner is no less critical. That’s why reading off cue cards or turning and reading from a projected presentation screen are usually the kisses of death for making any kind of relational connection. A good presenter, like a good storyteller, orchestrates physical distance to create emphasis and greater relational connections. When you are making a key point or telling a personal story that supports your presentation, a step or two towards your audience will raise their attention level and give those words more impact. Don’t overuse that sacred delivery space or it too, will lose its importance. The evidence is painfully clear: many presenters today fail to effectively connect in a meaningful way with their hopeful audiences. Their overly structured delivery supported by gratuitous use of text and graphics leave them and their audiences wondering if things could ever change. I would suggest that we could all benefit from a trip to Jonesborough, even for a day, because our biggest obstacles as presenters are not the technology, software or audience — it’s the prevailing paradigms we’ve associated with presenting that hold back average presenters from being truly great.